Well.. We know many will ask about the name for this new Viking, and admittedly, it is a bit weird.. But only until you learn about the wood. 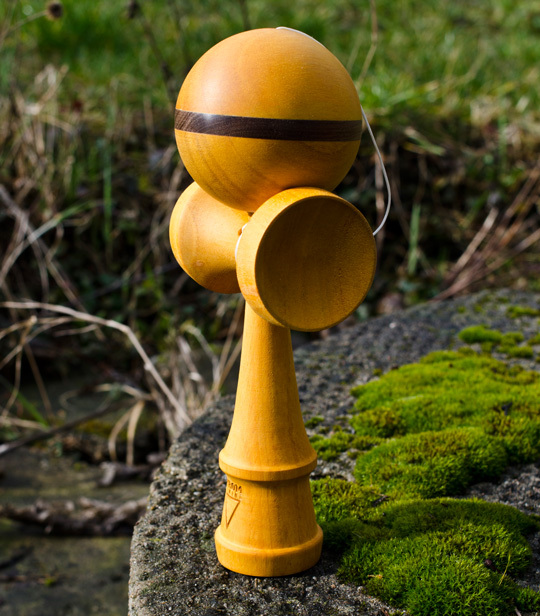 We have been around the world, and can quite confidentially say that as a worlds first, we have crafted a kendama, and even a Viking, in the peculiar CHEESE WOOD. Super light, with an unbelievable natural friction in the wood that will allow crazy balance bangers straight from the box. Even though we are mostly vegetarians at KROM, we do have respect for a good slab of meet. So we added the patty to our burger in the shape of premium grade walnut. Besides from tasting good and looking clean it also increases playability a lot! Grab a bite.